If your workspaces include airports, hotel lobbies and coffee shops, these devices can help. At 1.5 pounds and powered by a lithium ion battery, Planon's Printstik PS910 is a go-anywhere print shop. When you're on the road, you can't call upon the resources that officebound employees enjoy. But whether your temporary workspace is a table at Starbucks, a hotel lobby, an airport or a client's lunchroom, you've still got to get the work done. Any gear that you lug around has to be small, light and reliable. Here are some great gadgets that any digital nomad will want to consider. Forget about waiting at a Kinko's to print that hard-copy report. 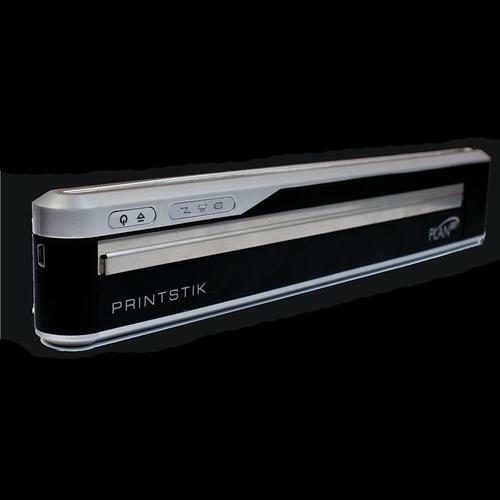 Planon's Printstik PS910 is a go-anywhere print shop. It weighs just 1.5lb., is powered by a lithium-ion battery and fits easily into a notebook bag, yet it can print from a smart phone, handheld or notebook, either through a USB cable or wirelessly via Bluetooth. The US$300 printer uses thermal technology; a package of three rolls of thermal paper costs US$25. That means you get only monochrome documents, but if you really need a quick sales letter, a map or a proposal, the Printstik could be invaluable. So much work, so few power outlets -- it's the nomad's constant dilemma. To the rescue: Belkin's Mini Surge Protector with USB Charger. It turns a single AC outlet into three, delivering electricity to you and those around you. (Sharing that outlet may get you good karma, or even a free latte.) It also provides a pair of USB ports for charging phones, handhelds or media players. And it rotates so that it won't block the second outlet on the wall. The Mini Surge Protector weighs just 6 oz., but it packs a powerful punch when it comes to saving batteries. The device costs US$25 but is well worth it -- not the least because it carries a US$75,000 warranty against damage from a power spike. It may not be able to stop a coffee cup from tipping over, but Zagg's InvisibleShield keyboard cover can keep a spill from turning into a digital disaster. Made of an ultrathin plastic film, the type-through cover keeps liquids, dust and who knows what else out of your notebook's delicate keyboard. When it gets dirty, just wipe it clean. The US$35 cover has been precision-cut for a wide variety of notebooks and comes with a lifetime guarantee that it won't scratch or wear out.